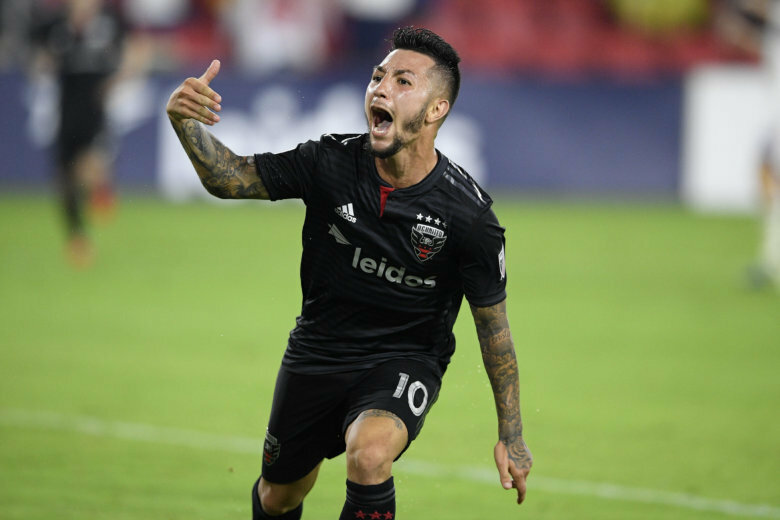 Luciano Acosta scored and assisted on Paul Arriola's goal to help D.C. United beat defending champion Atlanta United 2-0 on Sunday night in the MLS opener for both teams. WASHINGTON (AP) — Luciano Acosta scored and assisted on Paul Arriola’s goal to help D.C. United beat defending champion Atlanta United 2-0 on Sunday night in the MLS opener for both teams. D.C. United is unbeaten in its last 11 regular-season matches. Arriola opened the scoring in first-half stoppage time. Wayne Rooney’s corner kick was deflected by Acosta toward the near post, where Arriola, who started in front of the net before looping around multiple defenders, first-timed the finish. Acosta took a pass from Lucas Rodriguez and, from well outside the box, ripped a right-footer between two defenders that froze goalkeeper Brad Guzan before skipping past him to make it 2-0 in the 58th minute. Rodriguez, a 21-year-old Venezuelan, made his MLS debut after signing with D.C. United on loan from Estudiantes de La Plata. Bill Hamid had two saves for his fourth shutout in his last five regular-season starts.